Jesus’ final words to his disciples on earth were, “Go and make disciples of all nations, baptizing them in the name of the Father and the Son and the Holy Spirit and teaching them to obey all that I have commanded you. And I am with you always, to the end of the age.” God not only wants to bring new life to people through His Son, He wants to do it through us. This is part of His plan to bring abundant life to us and to others! If you ask most followers of Jesus, though, if they are “making disciples,” the answer would be, “Honestly, no.” There are a number of reasons for that. Some don’t feel adequate. They think their own relationship with Jesus needs work, so how can they “make disciples” when they have so far to go themselves? Others just aren’t sure how they’d go about it, perhaps because they’ve never been discipled themselves. Here at Hope Church we are committed to partnering with Jesus and each other in fulfilling the Great Commission. That’s why we’ve developed “Triads,” a journey for three men or three women to take for a little over a year where they can Discover God’s Grace, Grow Together and become Disciples of Jesus who will Multiply. It is a creative, intentional strategy to grow with others into greater faithfulness to Jesus and to be equipped to help others do the same. What are the ELEMENTS of a Triad? Receiving Gospel Grace by being channels of God’s forgiveness and help in each other’s lives. Growing Stronger in our devotion to Jesus by reading His Word and deepening our lives of prayer personally and together. Growing Closer in our commitment to each other by opening up our lives in deep, authentic community. Growing Further in our passion for the world by praying for and building relationships with people outside the faith. Daily individual time with God in Scripture and prayer. 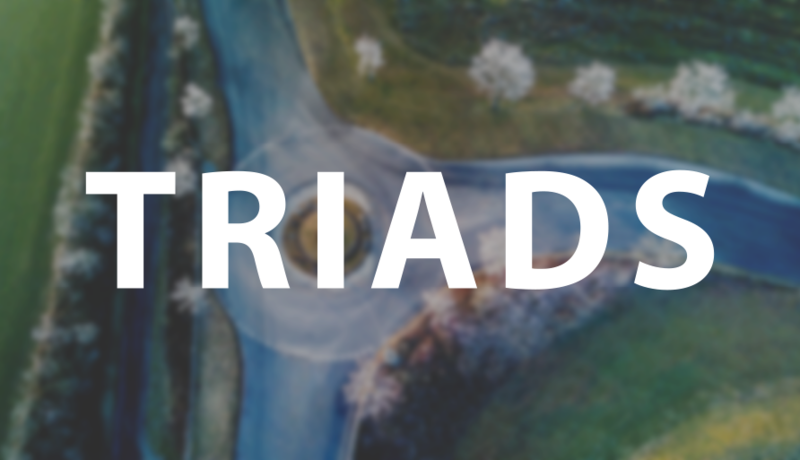 Weekly triad meeting for an hour or two to share what God is doing, to encourage and pray for each other, and to discuss the Nine Lifelong Priorities of a Multiplying disciple of Jesus. A Monthly “group experience” with your triad to deepen in your understanding of and appreciation for the Nine Lifelong Priorities. * The journey will take about a year if you meet weekly. Call or e-mail Pastor Bill at bcraig@hopemason.org or Kari Glemaker at kglemaker@hopemason.org and they will be happy to give you more information. How do I JOIN a Triad? Let Pastor Bill or Kari Glemaker know of your interest and they will gladly guide you. Begin praying that God will bring someone to your mind to invite into the triad journey with you. As you find one, pray together for a third. Take the “Listening Seminar” offered at Hope Church as soon as possible. If you’ve taken it once, we encourage you to take it again. Contact Pastor Steve at sgriebling@hopemason.org.